NASCAR Gander Outdoors Truck Series driver Austin Wayne Self as been suspended indefinitely by NASCAR for abuse of the sanctioning body’s substance abuse policy. Self drove the No. 22 truck for AM Racing, owned by his father, Tim Self, in the first three races of the 2019 season at Daytona (Fla.) international Speedway, Atlanta Motor Speedway and Las Vegas Motor Speeday but sat out the last two races at Martinsville (Va.) Speedway and Texas Motor Speedway. Monster Energy NASCAR Cup Series regular Darrell Wallace Jr. drove the No. 22 truck in those two races. 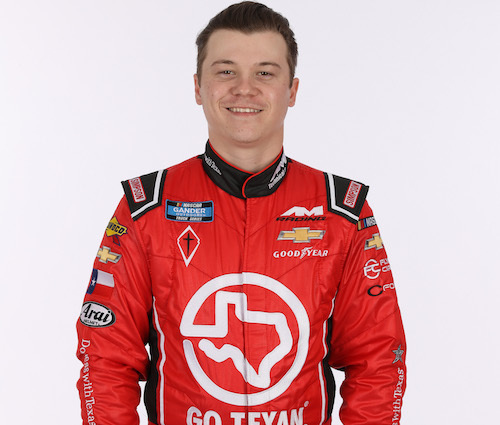 In all, Self has made 66 starts in the Truck Series since 2016, all from behind the wheel of his family’s No. 22 truck, resulting in one top-five and five top-10 finishes. NASCAR listed one other penalty on its weekly penalty report Monday, following the Texas Motor Speedway race weekend that culminated in Sunday’s running of the O’Reilly Auto Parts 500 Monster Energy NASCAR Cup Series race. John Klausmeier, crew chief on Aric Almirola’s No. 10 Stewart-Haas Racing Ford team, was fined $10,000, because a lug nut was loose or missing on the No. 10 car at the Texas race.